A. Stainless steel heating pipe is used. 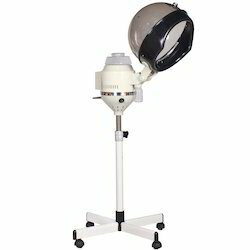 Steamer with Best Quality.It’s a classic model of personal hair steamer in world market, with delicate appearance, excellent quality and fine workmanship, easy to use . We are offering Head Steamer to our clients. We deal in a wide variety of (Head Steamer)and contact us for any related requirements. We are engaged in offering Head Steamer.